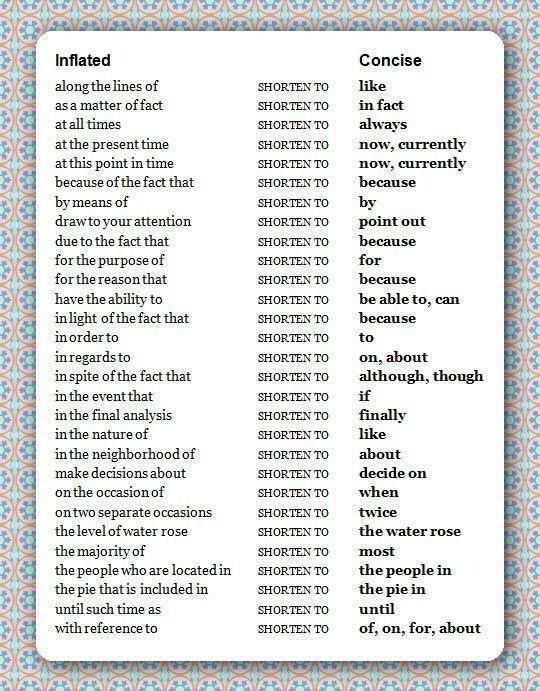 A guide on how to make your blog post shorter (or longer) - Blogger I.Q. Here's a trick: How to make your blog post longer or shorter by replacing a single word in to a group of words that means the same thing? This list below provides a solution to this problem. It has a list of few words that has a concise meaning as well as an expanded meaning with a group of words. Check it out! Let me know your thoughts by leaving your comments! Hope this helps!